Mahalo! Tiki culture is experiencing a bit of an upswing again in my particular art world. I am entered in TWO shows with a Polynesian theme. The first starts tonight at the Van Eaton Animation Gallery in Sherman Oaks, CA. 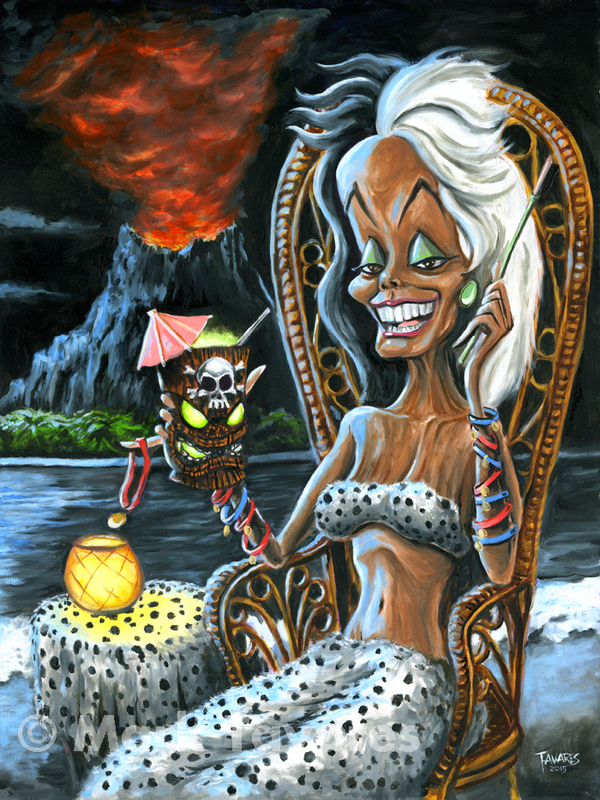 Artists are required to create art featuring any animated character, naturally, in a Tiki setting. Here is my entry entitled, “Paradise De Vil”. The painting is for sale. I will also have prints available shortly through my Fine Art America store. Head to Van Eaton Galleries website for more info!